Looking at the up and coming food trends for 2018 I realise that this year will see another challenging year within the food sector. With the rising cost in food prices, whether from global warming or the fear of Brexit, it will certainly make it more challenging to get more for your money. From a chef’s perspective I see it as more of a challenge to be more resourceful and creative with using what is seasonally fresh and available. Without sounding too cliché vegan seems to be the buzz word on everyone’s lips at the moment. Celebrities and the media seem to be all jumping on the bandwagon and it seems fashionable to declare yourself a vegan. This is not being missed by the High Street, there will be more and more vegan restaurants opening this year there has already been a vegan fried chicken shop open in Hackney that sells “Seitan” a gluten based protein being deep fried in a secret spice mix served in different guises that has people queuing out the door! Now vegan is not a current food trend and has in fact been around for many years. The benefit we are see as chefs and consumers is the influx of some really innovative new products. From plant based dairy free milk, Tempeh and vegan black pudding to Chickpea water (aquafaba) which is being used as a vegan egg replacement to make items such as eggless meringue, salad cream and chocolate mousse amongst other things. As I mentioned in my introduction, the cost of food seems set to keep on rising. On the back of this, renowned Chef Dan Barber has opened a pop up restaurant called wastED on the roof terrace at Selfridges. The interest in waste based cooking seems set to continue and gather more pace. What we mean by waste is the re-utilisation of food that would normally be left over and discarded, using these items to create other dishes rather than putting them into food waste bins. Consumers will still want to know and, in fact take greater interest in, where their food is grown and the food miles it takes to reach them. But the wast-ed movement will also give greater knowledge and confidence to make full use of the food they have purchased. Supermarkets are looking at selling items beyond the use by date and pledging to reduce the level of wastage and are also looking at third party distributors to forward the food to charities to help the vulnerable and homeless. One opening I am really excited about is by a chef called Calum Franklin who runs the Holborn Dining Rooms. 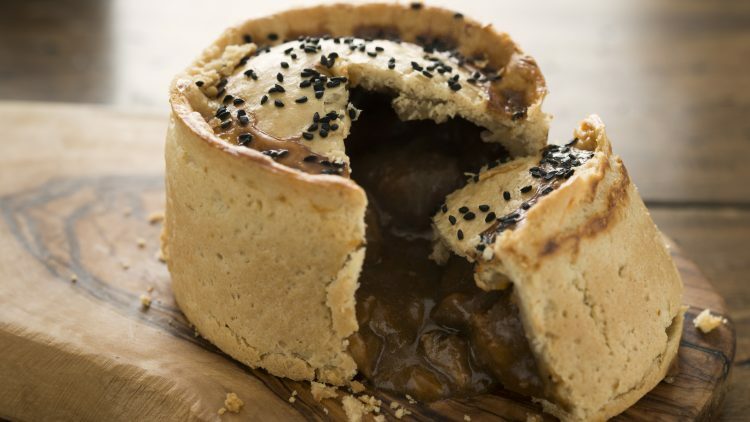 He is developing a menu which is based around PIES! What I love and is so exciting about this menu is that he is totally bucking the trend. The food will be predominately meat and fish based and covered in pastry. What makes Calum’s food so interesting is he is bringing back cooking techniques and skills which have been forgotten and in a market place that is saturated with healthy, vegetarian and vegan restaurants, he is really making a bold move, but long may it continue. Eating in will be the new eating out! With the ever increasing availability of eat at home food kits and people being time precious but cost conscious. These kits provide a not only cost effective and time saving approach to cooking at home but they reduce food wastage yet still give that satisfaction of preparing something yourself. Alongside this the availability of kitchen equipment at an affordable price (water baths, circulators, ceramic barbeques, sous vide) is enticing people to become more adventurous in their approach to food and are keen to experiment with new cooking techniques and foods equivalent to those experienced in a quality restaurant.